Lakshya Productions has in association with People Media Factory today launched its Production No. 1 titled '2 States'. An adaptation of Chetan Bhagath's best-seller '2 States', the film stars Adivi Sesh and debutante Shivani Rajasekhar in lead roles. The launch event was a big affair graced by some of the most respected names. 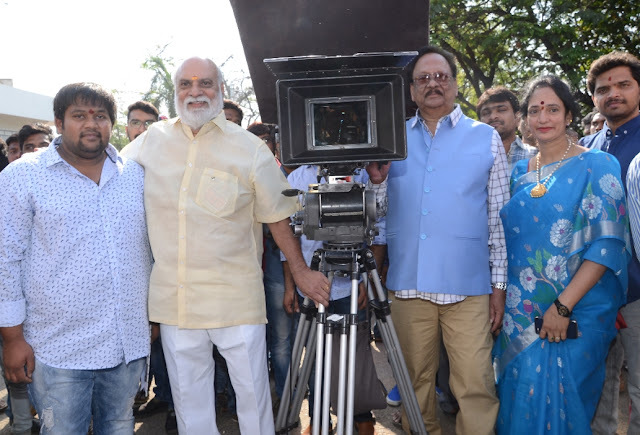 The first clap was given by SS Rajamouli garu, and K Raghavendra Rao garu directed the first shot. Senior actor & Rebel Star Krishnam Raju garu switched on the camera. T Subbarami Reddy garu was there to bless the team, while Kodi Ramakrishna garu made it a point to call Shivani his "family heroine". VV Vinayak was there to bless his disciple, director Venkat Kuncham. Speaking on the occasion, producer MLV Satyanarayana said, "We need the blessings of the audience. We are very confident that '2 States' will turn out to be one of the best films." 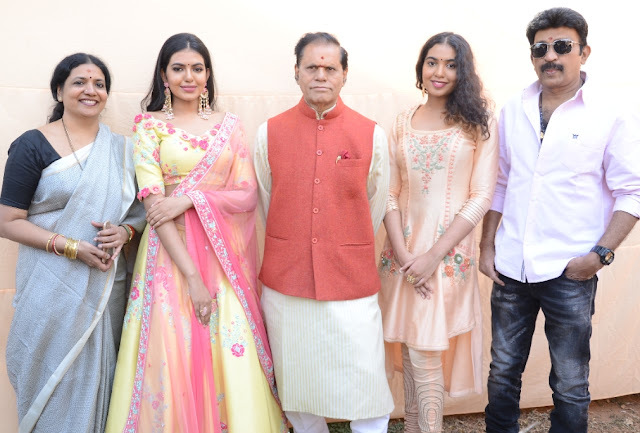 Vivek Kuchibotla, the film's co-producer, said, "On behalf of TG Vishwa Prasad garu of People Media Factory, I thank you all for making this launch event a grand success. We are coming up with a very good film." Cinematographer Shaneil Deo, who has previously worked on 'Kshanam' and who is working on 'Goodachari', said, "I am looking forward to capturing the lovely lead pair of the movie with my lens." The talented cameraman was once nominated at Cannes Film Festival. Anup Rubens said, "I am happy to be doing this project. I have watched the original. The story has plentiful scope for music. With their writing, the writing department has taken the film to the next level. MLV Satyanarayana garu is a passionate producer. I am glad to be associated with Vivek Kuchibotla garu. The film has a lot of positive vibes going for it. Director Venkat Kuncham said, "It's a big day for us. We are happy you showed your love for us. Since the time I came on board as the director, we have worked on the script many times. It's not easy to make an adaptation. Together with my writing team comprising Madhu Srinivas (co-screenplay writer) and Mithun Chaithanya (dialogue writer), we have brought out a fresh script. Adivi Sesh is an extraordinary performance. And Shivani is a fresh talent. When I approached her with the script, she was excited to do the film. Anup Rubens has already composed three excellent tunes. I thank VV Vinayak garu, who is my Guru, for being here today." Shivani Rajasekhar said, "I thank director Venkat for offering me a challenging role. Venkat and Chaithanya have done a great job as co-writers. I have known Anup Rubens for many years now. I love his songs a lot. The producers are taking care of me like a princess. I thank my parents (Rajasekhar and Jeevitha) for letting me act!" Adivi Sesh said, "Venkat is a dear friend of mine. I always wanted to do a true-blue love story. I watched the Hindi '2 States' thrice in the theater. A very energetic team is on board. Shivani, my co-star, is quite expressive. Hit or flop, I have always tried to do fresh films in my career." The film's first schedule will start in Hyderabad form April 5 and end on April 19. The second schedule will happen in May in Kolkata. The third schedule will happen in the US.